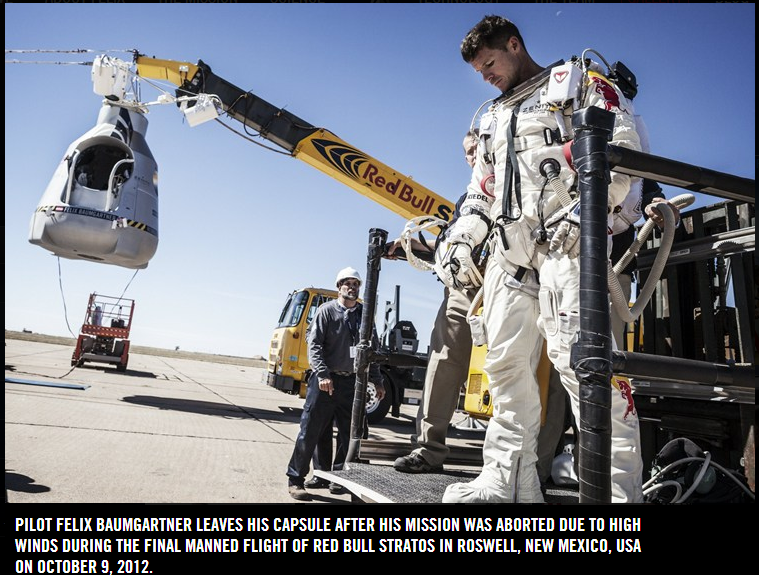 Red Bull Stratos, Skydiving from the Stratosphere at Mach speed! [UPDATE] It was a success! This amazing project was supposed to be launched yesterday(okt09, but failed due to weather conditions. So you still have the chance to see it! No new launch time has been established at this point, but check in tonight. Even if there is no launch this project was very interesting to read about, so take a look! If the jump is successful you will even be able to see live stats on the side of the streaming window, which is really cool! Also you HAVE to check out this timeline! Just scroll.. The mission was a great success and mr Baumgartner broke several world records! You can read about it here.